Ivanka Trump serves as an adviser to her father, U.S. President Donald Trump. 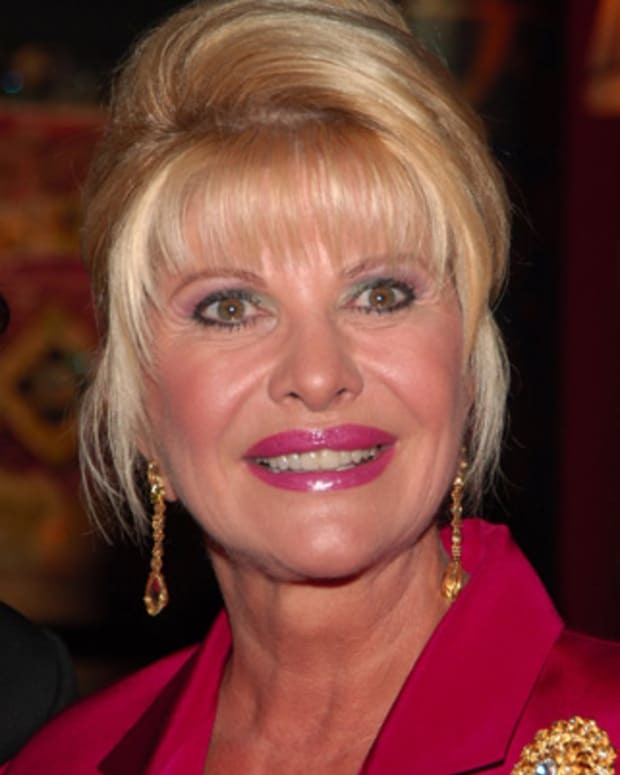 Prior to that she was a real estate developer, reality star and founder of the Ivanka Trump Collection. Ivanka Trump is the daughter of U.S. president and real estate mogul Donald Trump and socialite Ivana Trump. Embarking first on a modeling career in her teens, Ivanka redirected her ambitions and joined her father&apos;s business empire after college. From 2006 to 2015, she worked alongside her father and two brothers as a judge on Celebrity Apprentice. After rising to executive vice president at the Trump Organization and founding her own fashion brand, the Ivanka Trump Collection, she became a senior adviser to her father at the White House. She is married to real estate developer Jared Kushner and has three children with him. Born on October 30, 1981 in Manhattan, Ivanka Trump grew up in the limelight alongside her famous parents, real estate mogul Donald Trump and socialite/Czech-American model Ivana Trump. The couple&apos;s marriage dissolved when Ivanka was 10, and she went on to attend boarding school. She was a student at the Chapin School and then later transferred to Choate Rosemary Hall in Connecticut. Unhappy at Choate but promising her parents she&apos;d keep up her grades, Ivanka decided to try her hand at modeling at age 14. She soon signed on with Elite Model Management and graced her first cover with Seventeen magazine in 1997. She would walk the runways for Thierry Mugler, Versace, and Marc Bouwer, be featured in Elle magazine, and co-host the Miss Teen USA 1997 pageant all by the age of 16. However, Ivanka soon found the world of modeling to be catty and ruthless and steered her ambitions toward the family business: real estate. After graduating from the Wharton School at the University of Pennsylvania, her father&apos;s alma mater, Ivanka spent two years working at a real estate development firm outside of her father&apos;s organization. After learning the ropes and feeling she could prove her worth, Ivanka joined the Trump Organization and rose to executive VP of acquisitions and development, working on high profile buildings and resorts. Collaborating with her two brothers, Donald Jr. and Eric, she also co-founded the Trump Hotel Collection, a successful luxury hotel management company. From 2006 to 2015, she solidified her celebrity status, appearing alongside her father and brothers as a co-judge on NBC&apos;s Celebrity Apprentice. Capitalizing on her famous last name and wanting to be a voice for the professional millennial woman, Ivanka published the New York Times best seller, The Trump Card: Playing to Win in Work and Life in 2009. She also launched a fashion/lifestyle brand, the Ivanka Trump Collection and its digital counterpart, IvankaTrump.com. Trump separated herself from the business in 2017 to focus on aiding her father&apos;s administration, and the following July, she announced that she was shutting down the brand. "After 17 months in Washington, I do not know when or if I will ever return to the business, but I do know that my focus for the foreseeable future will be the work I am doing here in Washington, so making this decision now is the only fair outcome for my team and partners," she said. Ivanka has supported both the Republican and Democratic Parties at different times. In 2007 she supported Hillary Clinton&apos;s presidential run and is a friend of Chelsea Clinton. In 2012 she endorsed Mitt Romney for president. A year later, she and her husband hosted a fundraiser for Democratic New Jersey Senator Cory Booker. In the 2016 presidential election cycle, Ivanka played an integral role in helping her father&apos;s White House ambitions, actively defended his divisive remarks, to much controversy. “As a citizen, I love what he’s doing. As a daughter, it’s obviously more complicated,” she remarked in an interview published on Politico. On July 21, 2016, Ivanka introduced her father at the Republican National Convention in Cleveland, Ohio, before he accepted the party&apos;s presidential nomination. She also emphasized that her father would champion women and equal pay. "My father values talent. He recognizes real knowledge and skill when he finds it," she said. "He is color blind and gender neutral. He hires the best person for the job. Period." But this wasn&apos;t the first time Trump&apos;s fashion line came under fire. Earlier in the year, the footwear brand Aquazzura sued Trump for allegedly copying almost every detail of one of its sandal designs. Trump also had to recall 20,000 scarves for their above-average burn risk to consumers. She has also been criticized for being a proponent of her father&apos;s national maternity leave policy while not offering one at her own company. Ivanka continued to champion her father on the campaign trail. 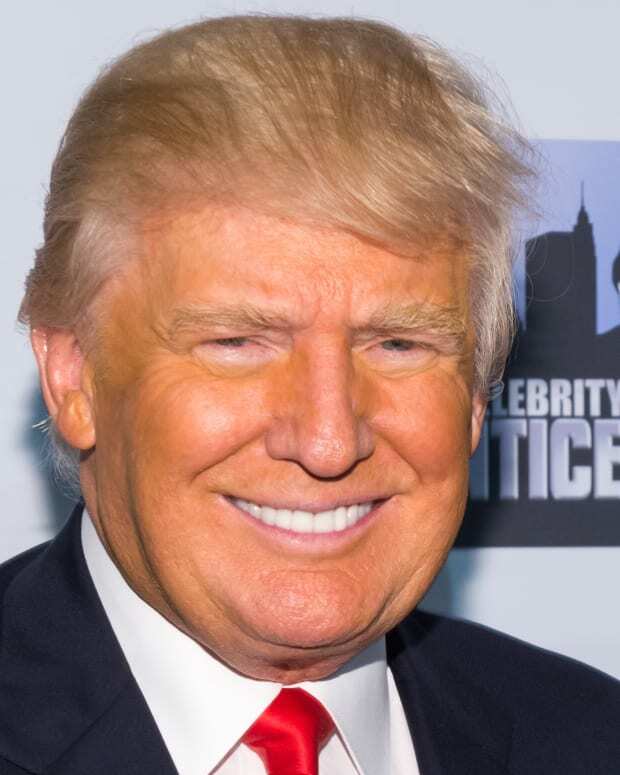 On November 8, 2016, he was elected the 45th president of the United States in a stunning victory that was considered a resounding rejection of establishment politics by blue-collar and working-class Americans. 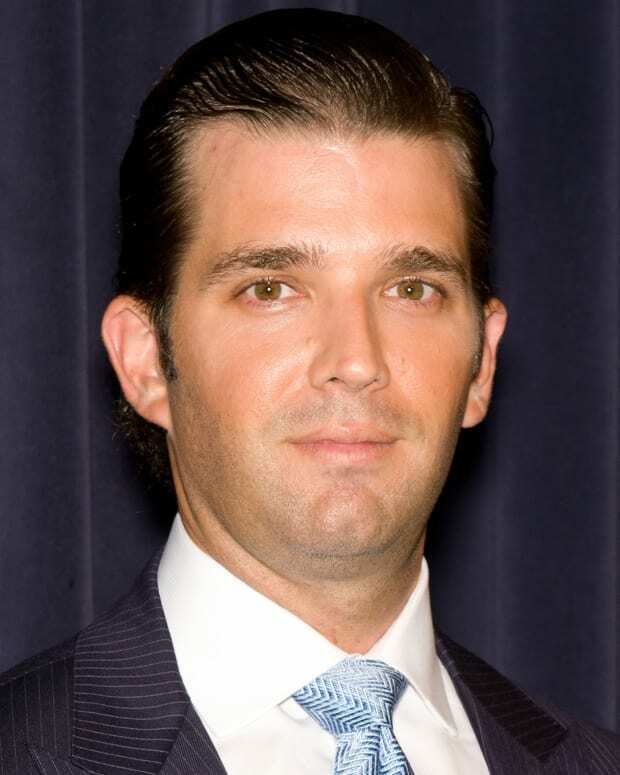 Following the election, Ivanka, her siblings Donald Jr. and Eric, and husband Jared Kushner, were soon named as members of her father’s presidential transition team. After her father&apos;s presidential inauguration, Ivanka and Kushner, who was named a senior White House adviser, reportedly purchased a home in the Kalorama neighborhood of Washington, D.C., where the Obama family also moved after President Obama left office. In March 2017, Ivanka, a close adviser of President Trump, said she would become an unpaid employee of the White House. "I have heard the concerns some have with my advising the President in my personal capacity while voluntarily complying with all ethics rules, and I will instead serve as an unpaid employee in the White House Office, subject to all of the same rules as other federal employees,"she said in a statement. "Throughout this process I have been working closely and in good faith with the White House counsel and my personal counsel to address the unprecedented nature of my role." In November 2017, shortly before her father&apos;s scheduled arrival as part of an Asian tour, Ivanka Trump was a guest speaker at a government-sponsored conference on women’s empowerment in Tokyo, Japan. Later that month, Trump traveled to Hyderabad, India, to take part in the annual Global Entrepreneurship Summit (GES) as part of that year&apos;s theme of women entrepreneurship. Trump&apos;s involvement in the GES came amid rumors of a rift with then U.S. Secretary of State Rex Tillerson, as well as questions about the workplace conditions endured by her company&apos;s female laborers in Asian countries. In December, Ivanka was named in a lawsuit filed by a Washington attorney over claims that she and her husband had failed to divulge a full list of assets and investment vehicles in their public financial disclosure forms. A White House spokesman dismissed the lawsuit as "frivolous." For the start of her father&apos;s second year in office, Ivanka seemed intent on following through on a goal to produce maternity-leave legislation. In February 2018, Politico reported that the first daughter and Trump&apos;s former campaign rival Marco Rubio were collaborating on the issue, discussing ideas that included drawing from Social Security benefits and raising payroll taxes as a means for funding paid leave. Later in the month, Ivanka traveled to South Korea to attend the closing ceremony of the 2018 Olympic Winter Games in PyeongChang. She was scheduled to meet with South Korean President Moon Jae-in at the presidential Blue House in Seoul, but not with members of the North Korean delegation. In June, as the Trump administration was enveloped in a growing furor over the process of separating children from their parents at the U.S.-Mexico border, Ivanka reportedly urged her father to reconsider the controversial "zero tolerance" policy. After the president signed an executive order to keep families together, she fired off a tweet that applauded him for "taking critical action ending family separation at our border," adding, "Congress must now act + find a lasting solution that is consistent with our shared values." The first daughter found herself back in the headlines in November 2018 after The Washington Post reported on her use of a personal email account for government business, an issue that tripped up Hillary Clinton in 2016. The following February, Trump joined the charge against the progressive policies of Democratic Socialist Alexandria Ocasio-Cortez, arguing that most Americans didn&apos;t want a guaranteed minimum wage. 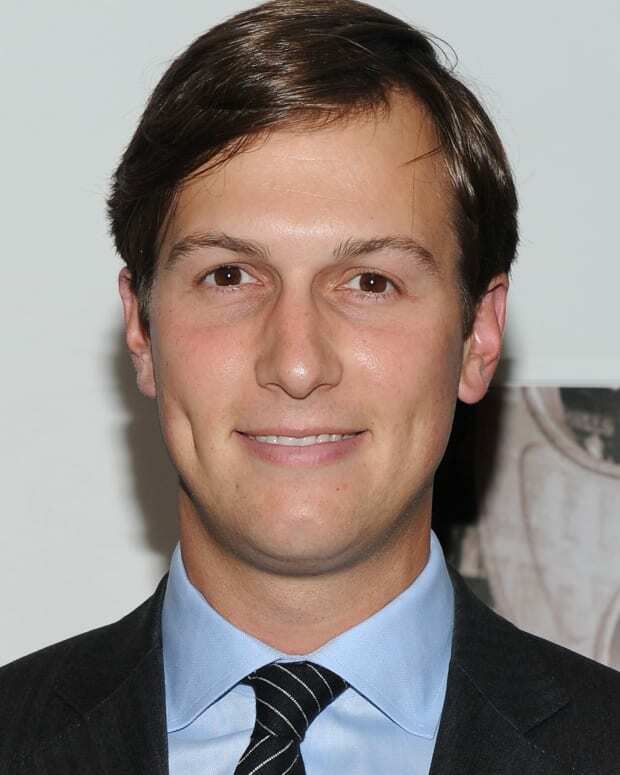 Ivanka married real estate developer and entrepreneur Jared Kushner in 2009. The couple has three children, Arabella Rose (born July 2011) and sons Joseph Frederick (born October 2013) and Theodore James Kushner (born March 2016). Ivanka converted to Orthodox Judaism in keeping with her husband&apos;s faith. She eats a kosher diet and observes the Sabbath. 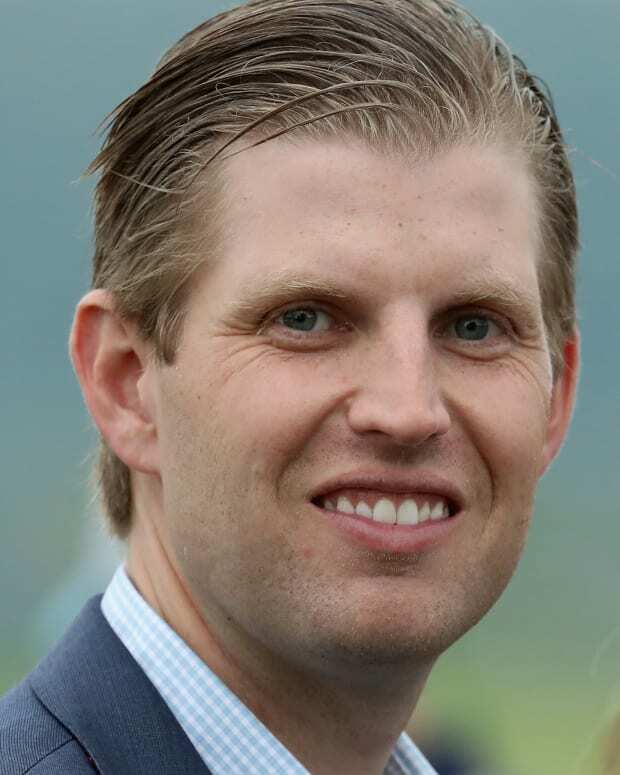 Eric Trump, the second son of U.S. President Donald Trump, is an American businessman and founder of the Eric Trump Foundation. 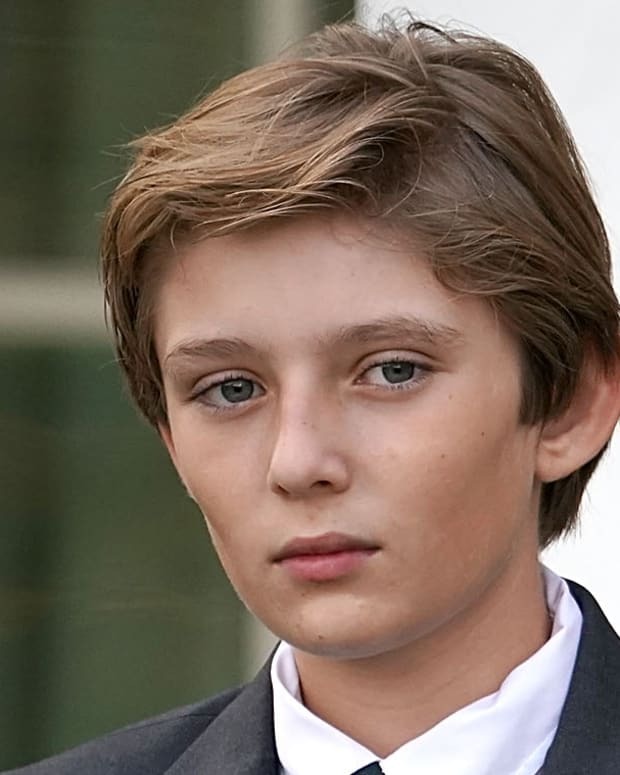 Barron Trump is the son of U.S. President Donald Trump and First Lady Melania Trump. Promoting her cyberbullying campaign, Melania Trump warned of “destructive” and "harmful" social media. "This is why Be Best chooses to focus on the importance of teaching our next generation how to conduct themselves safely and in a positive manner in an online setting," she said.